linking up with soulemama today. Yum! Looks like your garden is doing very well! Our moment this week comes from Grace's well-child check up. After each well visit every child in the family is given a new book. On our way out the girls found a perfect spot to read before we headed back to our car! 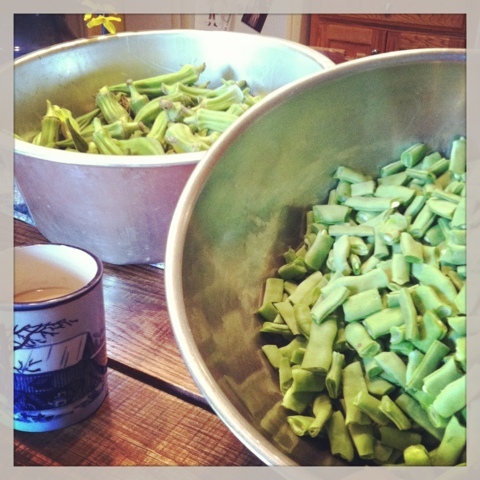 Green beans and okra or okree as we call it here in North Ga, lol. My two favorite vegetables. Looks like someone's garden has been doing well! Looks delicious. Totally missing southern okra! As a kid, I used to eat it for desert when everyone else was enjoying cake!